- 11 Brand new 3D models from 2006 to 2008 from ALMS and LMS championships, with accurate shapes and aero configurations and high detail cockpits. 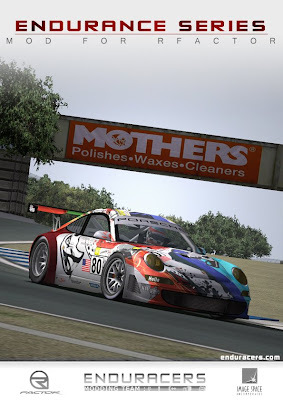 - All the cars skins from 2006 to 2008 seasons of ALMS, LMS, Le Mans and FIA GT Championships available in high/low detail. - Helmet and Driving suits of each Team. - Pitcrew suits for each Team. - Several graphic details added for more realism and to feel the "endurance spirit" better. - Specific UI Data menu textures, using modern showroom by Maciex. - Realistic sounds for all cars using real onboard & exterior recording sounds samples, and with a completely new development philosophy. Thanks to several real racing teams for their collaboration. - Very accurate physics, created in collaboration with Gentlemen Racers physics team, with help from real teams and drivers. - 1.250 optimisations (tyres wear curves, pit menu,...). - Realistic pit crew menu configuration. - FFB upgrades to choose your preferred steering force, see following paragraph to have optimum settings for FFB. - Real Feel FFB and Leo FFB support (see readme for tested setups).